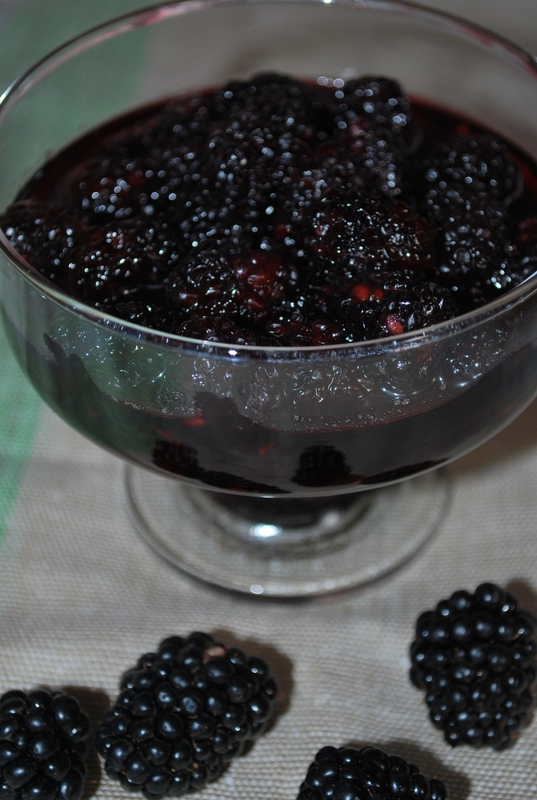 Blackberry Muraba is a preserve made with blackberries and sugar. It can be eaten as a dessert or used as a jam. 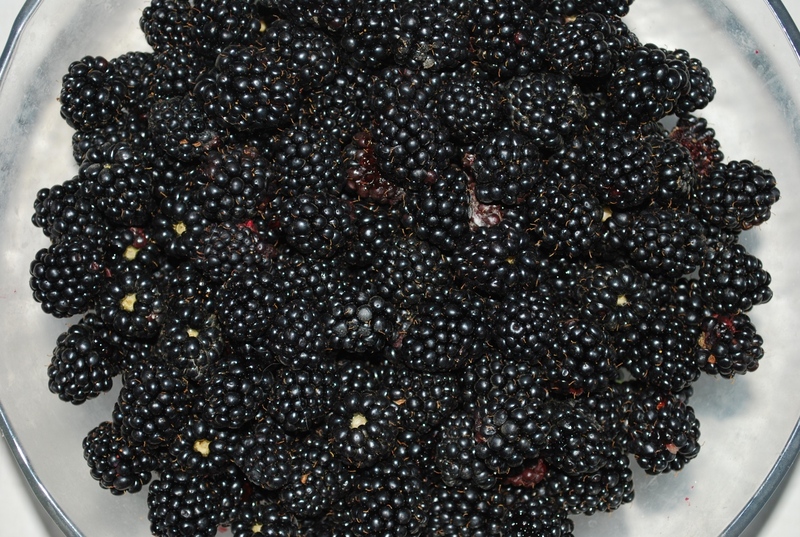 In Georgia, it is usually made in July when blackberries are ripe. It can be made with or without water. Making it without water produces a thicker muraba. 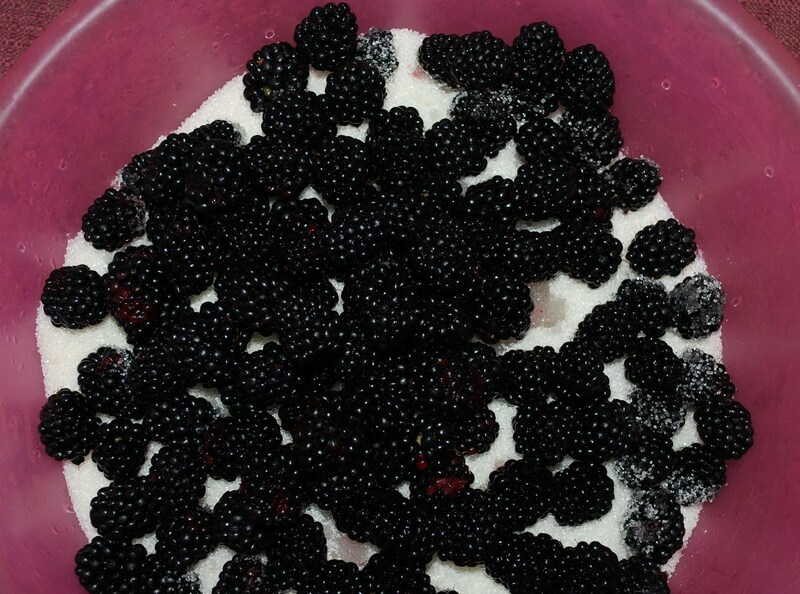 Ingredients: 2 kilos of blackberries and 2 kilos of sugar. 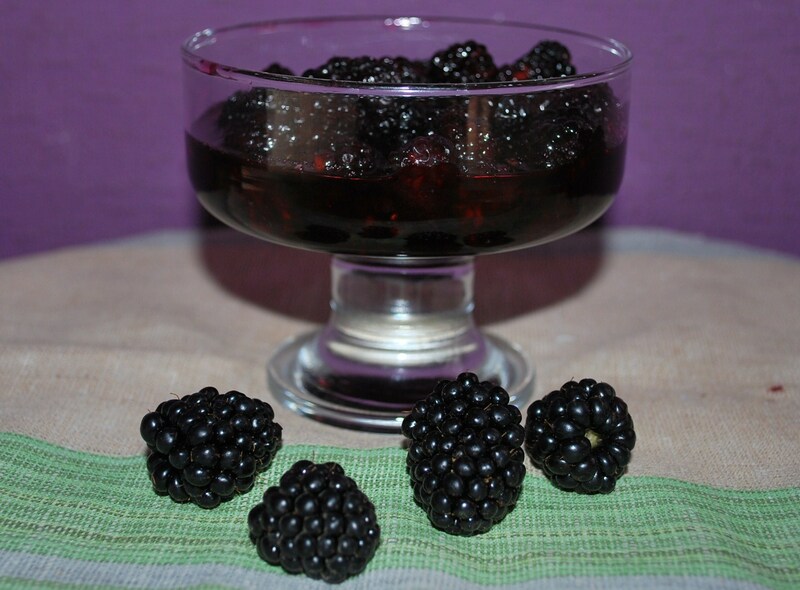 Preparation: Wash the blackberries and divide into 4 parts. Add 1 part to a mixing bowl and cover with 1 quarter of the sugar. 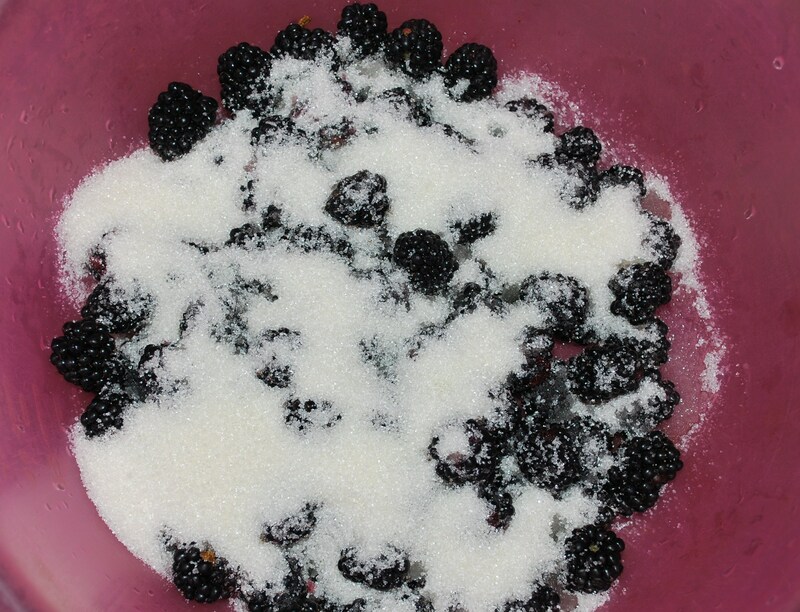 Add another quarter of the blackberries and cover with another quarter of the sugar. 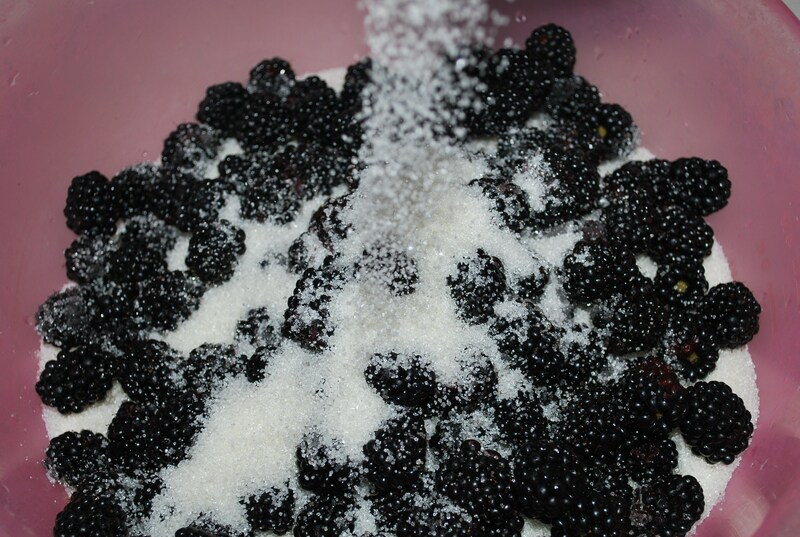 Repeat the layering process until all of the blackberries and sugar have been used. Cover and leave overnight (at least 5 hours). 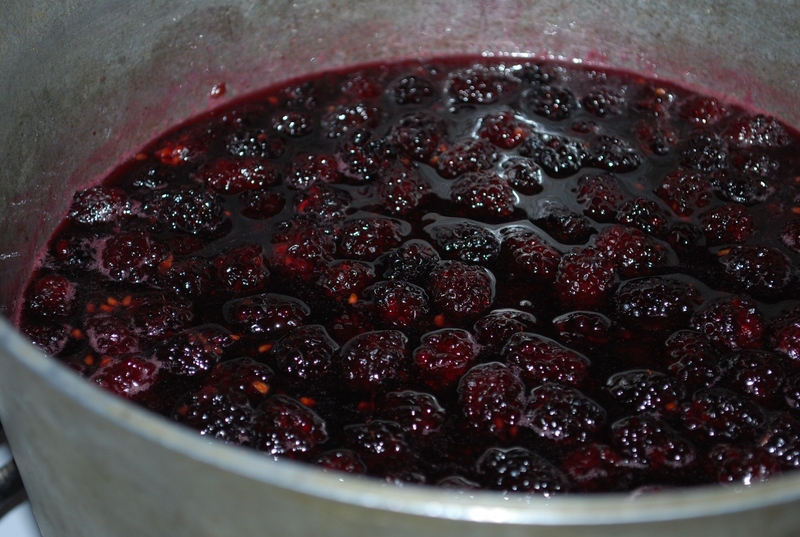 This process will release the juice from the blackberries. 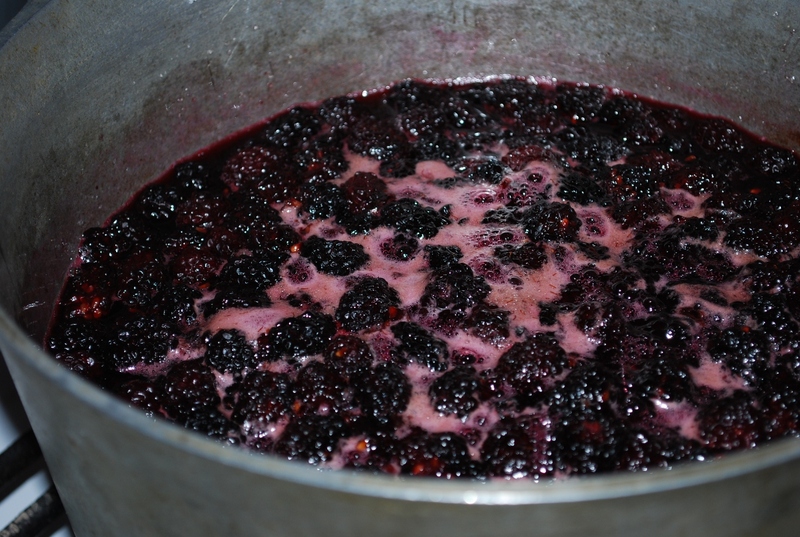 When you are ready to cook, pour the blackberries into a deep pot. Bring to the boil and then leave to simmer on a very low temperature for up to 1 hour 15 minutes. 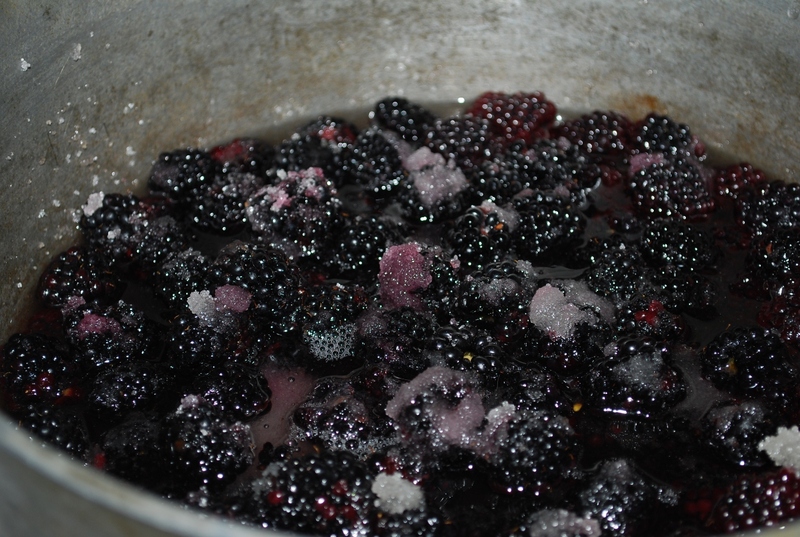 Be careful not to overcook as the blackberries will disintegrate. When ready they should look like the picture below. Serving: Cherry muraba can be served as a dessert or breakfast and can also be used as an ingredient for cakes. If you intend to use the muraba over a short period, allow it to cool down before putting in jars. Store in the refrigerator. To keep muraba for longer periods without refrigeration, prepare the jars by washing thoroughly and leaving until they are completely dry. Half fill a tall pot with water. Add the jars. Heat on a low to medium temperature for 15 minutes. Place the covers that will be used to seal the jars in boiling water. Fill each jar to the top with hot muraba and seal immediately with one of the covers that has been boiled and dried. This method enables the muraba to be stored for long periods in a cool, dark place without the need for refrigeration.